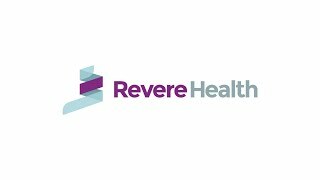 Revere Health’s experienced American Fork gastroenterology professionals offer comprehensive prevention, diagnosis and treatment of digestive disorders. Some of these disorders include irritable bowel syndrome (IBS), acid reflux, celiac disease, Crohn’s disease, hemorrhoids and liver and pancreatic diseases. In our gastroenterology department, we offer full endoscopic services including ERCP and endoscopic ultrasound. We work with our patients to develop a treatment plan based on their individual needs and goals. Our specialists have performed over 200,000 comprehensive colonoscopies using the latest technology and equipment, ensuring that our patients are taken care of and recieve the highest quality care possible. An orally inserted endoscope helps your provider examine the lining of the esophagus, stomach and duodenum to help diagnose digestive issues. Using an endoscope to view the stomach, your provider will inject dyes into the biliary tree and pancreas so they can be seen on X-ray. Uses an endoscope to evaluate gastrointestinal bleeding, small bowel tumors, polyps or other small bowel diseases. A small camera in the shape and size of a pill is swallowed in order to take pictures inside the digestive tract. Also called upper endoscopy, an EGD is an interior examination of the esophagus, stomach and duodenum. A wireless capsule or a small probe is positioned near the lower esophagus to monitor esophageal acid levels. A method examining the biliary system via catheter instead of probe; often in cases of bile duct stones, nodules or masses. GI diseases are treated through diet and medication and diagnosed through stool, blood tests and/or endoscopies. Abnormalities or inflammation of the pancreas, including conditions such as pancreatitis and cystic fibrosis. Any disorder of the liver, including conditions such as cirrhosis, inflammation, tumors and metabolic disorders. Diseases characterized by inflammation of the bowel, including conditions such as ulcerative colitis and Crohn’s disease. A common disorder of the large intestine, often leading to cramping, bloating, abdominal pain, constipation or diarrhea. Our providers offer patients a variety of specialized treatment options for hepatitis C treatment and management. Partial examination of the colon for signs of abnormality using a rectally inserted fiber optic tool. A procedure deterring blood supply from the hemorrhoidal mass by applying a rubber band to the base of the hemorrhoid. A diagnostic procedure performed by inserting a flexible tube down the throat, stomach and small intestine to look for diseases. A procedure using sound waves to produce images of the lining and walls of your digestive tract, chest and nearby organs. Dysphagia, or difficulty swallowing is a condition caused by factors such as age, genetics, improper chewing or disease. Care and treatment for a condition that slows the digestive tract and prevents the stomach from emptying properly. 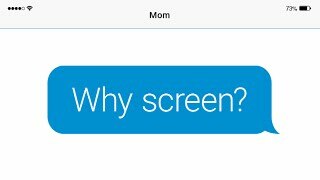 Why Screen for Colorectal Cancer?